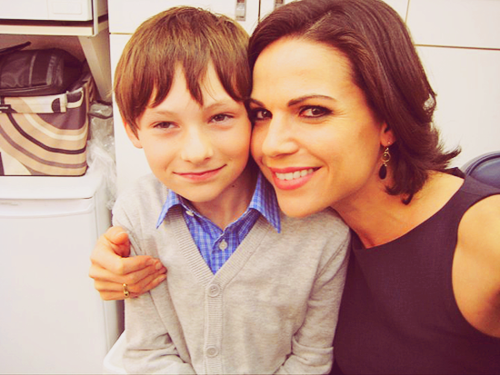 Regina & Henry / Lana & Jared [BTS]. . Wallpaper and background images in the La Méchante Reine/Regina Mills club tagged: once upon a time cast lana parrilla jared gilmore regina miller henry miller bts photo twitter.